Once again whilst driving and listening to the impending doom the local weather had prepared for us (it didn’t happen) I heard the Star Naming ad on the radio, hoping to cash in on the Valentine’s Day gift giving. I decided to repost an article I wrote about this scam several years ago. I will add a few notes to update things where needed. OK, let’s just go over the facts right now: Stars are not named after people, stars are ‘named’ by all sorts of designations. 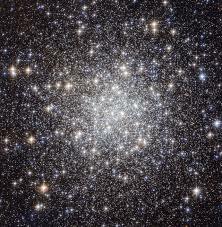 The brightest stars have kept their arabic names, but the fainter ones are named via designation, which usually means they are numbered. (Edit to Add: The International Astronomy Union is the one that decides what a star is called, and guess what – they aren’t naming them after people!). You can’t just walk into the International Astronomy Union and throw down a few bucks and get a start named after you! (Edit to add – you can’t do it over the phone or web, either) They don’t do that, and consider it crass enough to put up a page over the matter. (Edit to add: This line from the previous link says it all: “A: Sorry, we are a scientific organization, not a branch of the entertainment industry. We cannot distribute addresses of enterprises selling fictitious goods.”). So what do these Star Naming groups do? Well they actually proudly tell you how little they do: They put the name in a book. That’s it. That’s all. Give us $20 and we’d happily put your name in a book as well. But what is their cincher? Well in the ad I heard they register the book with the US copyright office. (Edit to add: Yes, they are still using the copyright office instead of the US patent office, in older ads they used to say the book was placed in a Swiss bank safe) Wow. The way the guy in the radio ad says it implies that means something to him, but as for astronomy it means nothing. I can produce a Star Atlas with every star name changed, and I can even register it with the US copyright office – but all that means is that no one can copy my book and make money off my new name Star Atlas. It doesn’t mean anyone with a telescope is going to start calling Rigel ‘Fred’. Even if it meant anything in the US, the rest of the world would hardly care a bit. (Edit to add: Given that the radio ad had a price of somewhere around $65 and the stuff they include maybe costs $10 in materials, maybe, this is pretty much a profit factory). (Edit to add: Note that ‘adopting’ is not having a star named after you. Once this project winds up – which could be a couple of years or decades this information will probably be gone. But you will be one of the people who supported the crucial Kepler planet-finding project. Oh, little scammers, how you do amuse. Of course, this makes us roll our eyes as yet another lazy scammer is trying to get our attention. This is the part that pretty says “scammer”. Whoever they are they are too lazy to even look at our website. Not once is there any mention of any specific inventory that we carry. and if there is any special pricing i need to know about. ’cause you know, if you are trying to con someone, you should at least be economical about it and get the best price. Lastly regarding payment i will be sending you my USA Valid credit card to charge for my order to avoid delays but can you let me know the type of credit cards you accept? This line, or a line very similar to it appears in almost all of these scammer’s emails (usually the wording is more like “do you please maybe accept CREDIT CARD? !”) More proof that they have not even given a real glance at our website, or else they’d know what credit cards we take. Any credit card they give will be fake, or more likely stolen. I used to try and fish these guys to get them to reveal their fake card numbers, but the credit card companies seemed so uninterested in rooting out problems like this and made it hard to do so that I stopped bother, although once I did get a call thanking me for following through. Ah, yes. Here were get to the meat of the theft. The card is fake, and they want their ‘personal’ freight agent (a local partner to the scammer) to pick up the items. That way there is no paper trail or tracking when the items ship. Joy. These emails are incredibly clunky and sloppy, and yet someone must be falling for them because we keep getting them. The joys of online retail. We’ve complained in the past about the scammy ‘Star naming’ groups that pretend to name a star after you or a loved for for a ludicrous fee. These namings are in no way official and are little more than a way to separate you from your money. But maybe you still want to have a loved one’s name immortalized in the stars in some fashion? Well they won’t name stars after you, and you have to have at least some fame to get an asteroid named after you, but there is one option: Adopt a Star from the Pale Blue Dot Project. Its easy to do – and only costs $10 that goes to supporting scientific research. All you do is pick one of the 100,000 in the Cygnus constellation. 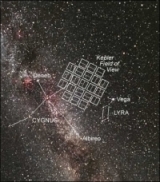 This is the region that the Kepler satellite pointed at to try and find extra-solar planets! You get to pick the star, and if you are really lucky it might have a planet circling it (you might have to wait a long time until the data is analyzed) . If you do you’ll get a special notification. 1) Its real. You are adopting a star, not having someone write down your name in a phony ‘star list’ that is not recognized by any astronomical organization. Your star’s name will not change but it will be designated on the Pale Blue Dot Project. 2) You pick the star, instead of some random guy handing out the stars. 3) Your money goes to scientific research instead of some scam artists pocket. 4) Your star might have a planet circling it! How cool is that?! 5) You’ll get a printable certificate. You’d get one from the star-namers but the Pale Blue Dot Project’s is much cooler. 6) You can use PayPal and be done in seconds! A lot of the brighter stars have already been adopted since the PBDP has been going for a couple of years now, so when choosing a star you might have to zoom in to get to the unadopted stars. Help support science! Adopt a star!